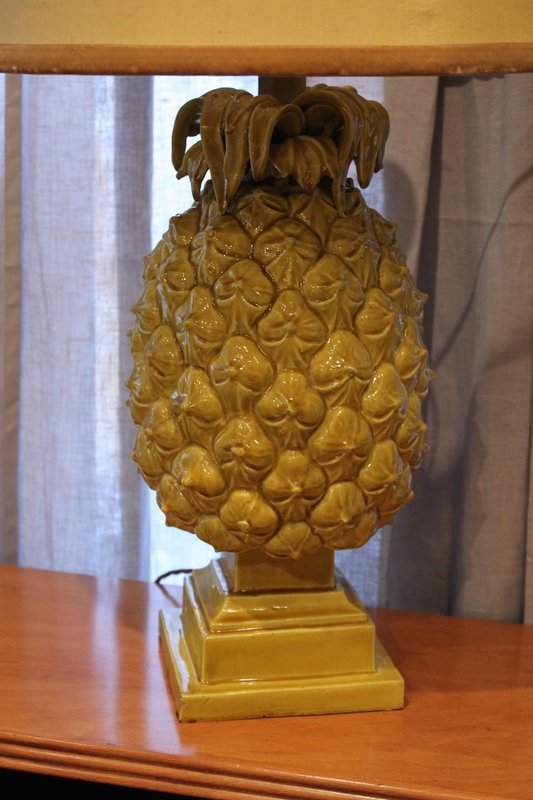 In the form of pineapples. Ceramic with bright green glaze. Lampshades original with velvet trim.